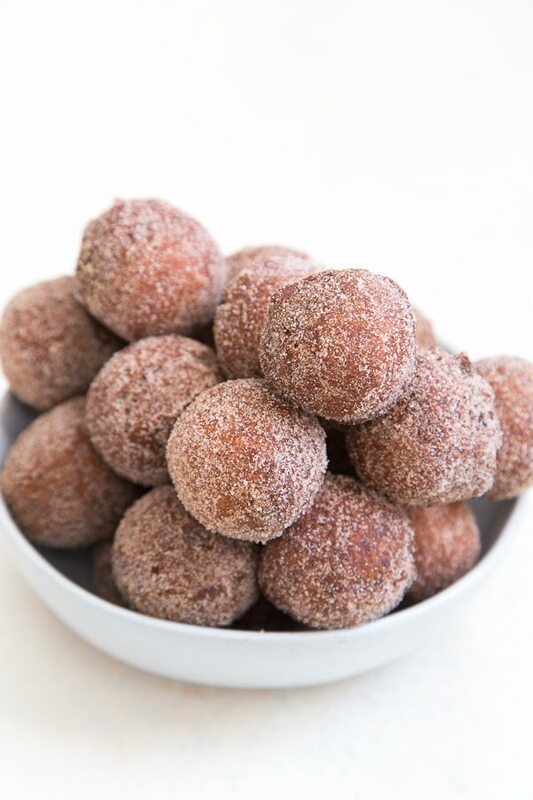 These bite sized apple cider doughnut holes are made with concentrated apple cider and tossed in cinnamon sugar for a tasty autumn treat. Apple season is my favorite. Apples so are so versatile. They’re great for sweet, savory, and liquid consumption. 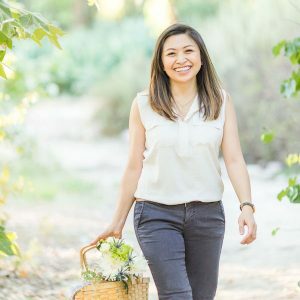 Luckily, Southern California has an abundance of apple orchards where you can pick your own apples or even press your own apple cider! I’m sharing one of my favorite ways to enjoy apple cider. 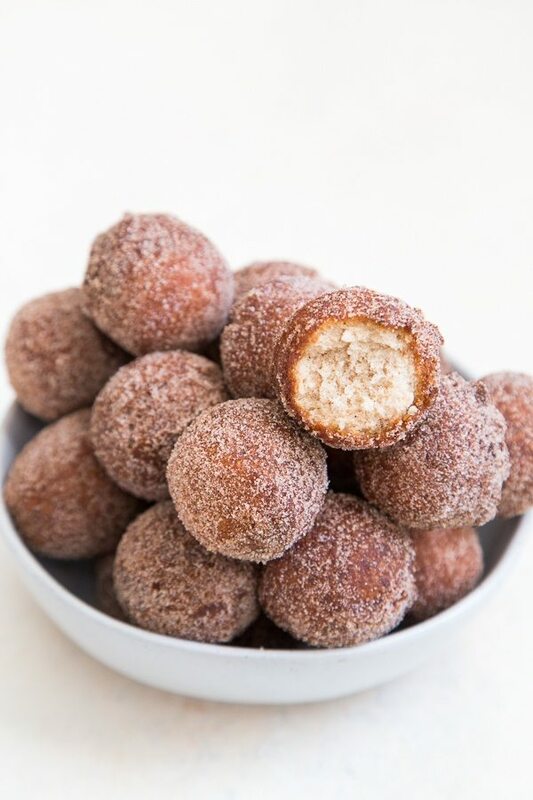 Apple cider doughnut holes! There’s a lot of debate over the difference between apple cider and apple juice. In this recipe, I am using apple cider. Not hard cider or the non-alcoholic sparkling cider. In this case, we are using apple cider made from unfiltered raw apple juice. It’s generally a little cloudier and a tad darker in color. Do not confuse this with “spiced apple cider” which is infused with spices like cinnamon and nutmeg for extra flavor. To intensify the apple flavors, I slowly simmered 1 cup of apple cider until became it reduced to 1/2 cup of concentrated apple cider liquid. The apple flavors will greatly depend on the quality of your apple cider. 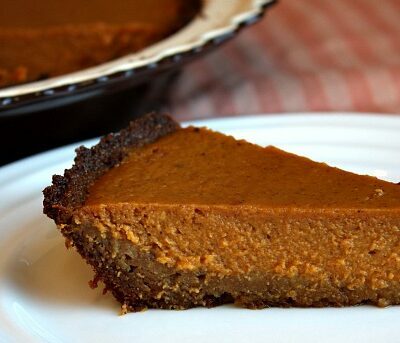 You’ll only need one cup for this recipe, so go ahead and splurge on the good stuff! This dough recipe is straight-forward and easy to make. You can mix the dough together by hand using a sturdy spatula, or whip it even faster using a stand mixer. The dough will be quite soft and sticky. Do not add additional flour. The dough requires at least an hour of chill time in the fridge. During this time the dough will stiffen up a bit and become more manageable. If you’re pressed for time, make the dough the day before and let it chill in the fridge for up to 24 hours. I used a 1-1/2 inch round cutter to punch out about 2 dozen doughnut holes. Do not use a cutter smaller than this size. It will result with very dense doughnut holes. If you’re not into the bite-sized doughnut holes, free feel to stamp out standard sized doughnuts using a 3-1/2 inch round doughnut cutter. The chilled dough will be slightly sticky. Simply dust your work surface with a little flour to prevent sticking. Be sure to also dust your round cutters between uses. I prefer to fry using shortening. Most doughnut shops using shortening, too. The resulting doughnuts will feel less greasy and they will hold for much longer than when you fry using vegetable oil. 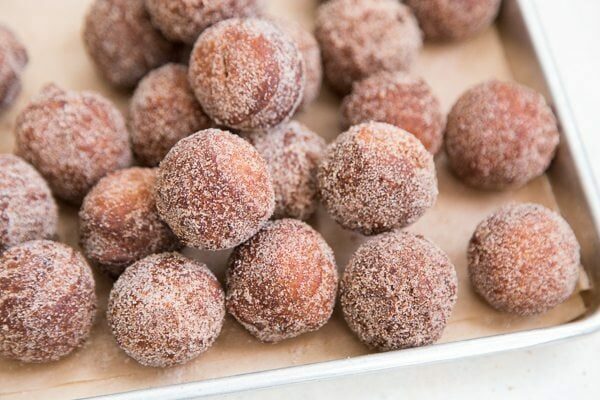 After frying, fresh apple cider doughnut holes get tossed in cinnamon sugar. Because these doughnuts contain no yeast, they are more cake-like in texture. They’re best eaten warm, a few minutes after cooking. Grab a cup of apple cider, coffee, or tea and enjoy! Pour 1 cup apple cider into a sauce pot. Set over medium heat and bring to a boil. Lower heat to a simmer and allow mixture to reduce to 1/2 cup. Cooking time varies from 10 to 15 minutes. Remove from heat and allow concentrated apple cider to cool. Whisk together cooled apple cider, buttermilk, and egg together. Set aside. 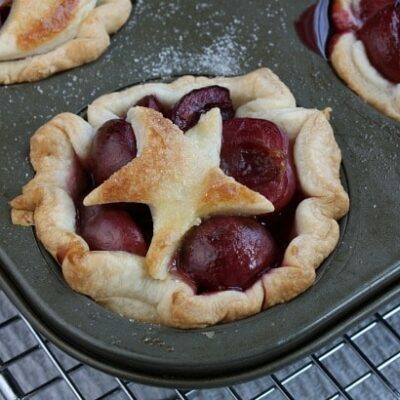 In a large bowl, whisk together flour, cornstarch, baking powder, baking soda, salt, cinnamon, nutmeg and sugar. Add half of liquid mixture and stir to combine. Add remaining and stir until dough starts to form. Add in shortening (or softened butter) and mix until well incorporated. Dough will be very sticky. Do not add additional flour. Cover dough with plastic wrap, allowing plastic wrap to rest directly on top of dough. Chill the fridge for 1 hour, up to 24 hours. Attach candy thermometer to a large heavy bottomed pot (such as cast-iron or Dutch oven). 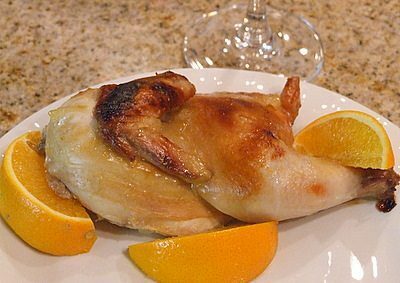 Fill pout about 3 inches deep with vegetable shortening or oil. Set over medium heat. Bring frying liquid to a temperature of 360 degrees F. Prepare dough while oil heats. Transfer chilled dough to a floured work surface. Lightly flour the top of the dough and pat or roll dough into a thickness of 1/2-inch. Using a floured 1 1/2-inch round cutter, stamp out doughnut holes. Transfer to a baking sheet. 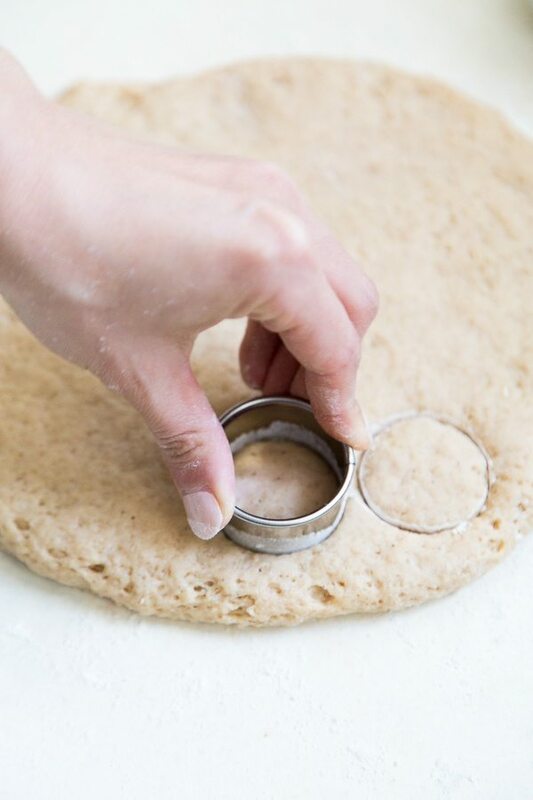 Gather scrape dough, knead together, and re-roll to stamp out additional rounds. 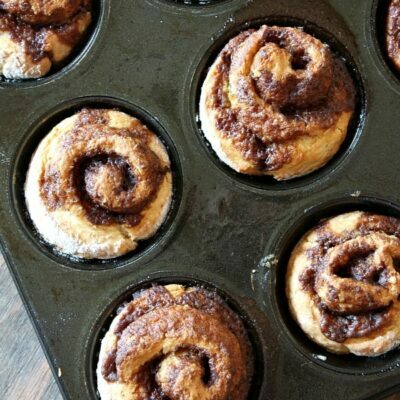 While doughnuts are still warm, toss in cinnamon sugar mixture. Doughnuts are best enjoyed the same day they are cooked. It's best to use a candy thermometer to maintain proper cooking temperatures. Frying in vegetable shortening will result with a crispier doughnut. Cooked doughnut will also feel less greasy than oil-fried doughnuts. Sacrifice a few doughnut holes to determine the exact length of time the dough needs to cook. Use a timer for keep consistent. 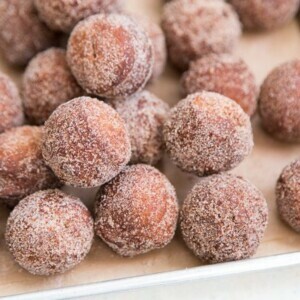 Just now saw your Apple Cider donut holes recipe and wondered if you had ever tried baking instead of frying?? Yum! Love me some apple cider flavor!